Cold floors – an unfavourable surprise to step on to, especially in the middle of the night or on a frigid day. HotRockPanels are the beginning to the solution. When using HotRockPanels to insulate your infloor heating throughout your house, you can be certain that a proper thermal break has been achieved for the life of your home while also protecting your floors from unwanted moisture working its way into your residence. Insulation is the cornerstone of any efficient construction and, with the costs for heating continuing to skyrocket, it is more important than ever to properly insulate to ensure you’re saving costs in the long term. 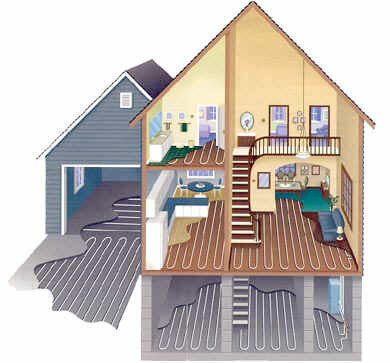 HotRockPanels should be your first choice when beginning your radiant heated floors in your home. With both our Original HotRockPanels and our Low-Profile HotRockPanels, you can have warm floors year round on every level of your house, as well as in the garage, patio, and driveway to keep the snow away year round!